Harry Styles (shown in May in California) performed all of his solo album at the Wang Theatre. Solo projects from onetime pop idols come with a fair amount of baggage — the need to prove oneself as a Serious Artist, or to at least shed the youthful skin that shrouded them during their teen-dream tenures. But One Direction member Harry Styles’s self-titled solo debut, which came out in May, darts around those expectations by channeling the ’70s rock landscape of Great Britain — or at least its fun parts. Styles made good use of that approach in his show Saturday night at the Wang Theatre. The album’s lead single, “Sign of the Times,” is a slowly blooming ballad that puts the emphasis on Styles’s slightly withered baritone, its echo-drenched opening cresting into choir-assisted cacophony; it reached toward seriousness, but it worked because of its sheer audacity. The rest of “Harry Styles” succeeds because it’s innately aware of how rock music is at its best when it’s possessed by a similarly all-in spirit. “Only Angel” brims with Sweet-evoking swagger, while “Kiwi” balances Styles’s tale of whiskey-soaked New York lust on a nervous riff. Smoother tracks like “Two Ghosts” and “Ever Since New York” show off Styles’s smoky romanticism, their all-enveloping production giving him room to breathe. The last time Styles performed in the Boston area was two-ish years ago with One Direction; the group, its members shaved down from five to four, headlined Gillette Stadium in an energy-packed blowout. Styles’s first Boston concert as a solo artist was in a very different setting (the relatively intimate Wang Theatre), but his vivacity and magnetism were still arena-sized. He ran through all of his solo album with winking bravado, throwing himself into the sinewy “Carolina” and the meditative “Meet Me in the Hallway” while blowing kisses and casting asides at the audience. He also threw a few covers into the set for good measure. He made over “Just a Little Bit of Your Heart,” which he wrote for Ariana Grande’s 2014 album “My Everything,” into a midtempo rocker; he sang the Lindsey Buckingham parts on Fleetwood Mac’s embittered “Rumors” smash “The Chain” with gusto. The other two covers were mined from One Direction’s archives — a slightly grunged-up take on the jangly “Story of My Life” and a sparkling version of the smash “What Makes You Beautiful” that highlighted its connection to power pop’s sugar-rush hooks and wide-eyed romanticism. 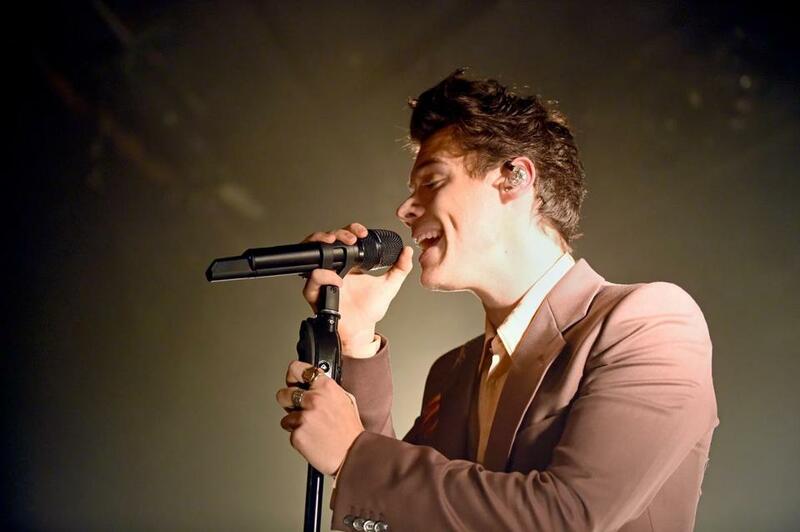 It was a “thank you” to the audience, which was filled with rapturous fans who could barely contain their excitement — but it also showed how Styles’s first steps as a solo artist are part of a natural progression. Maura Johnston can be reached at maura@maura.com.